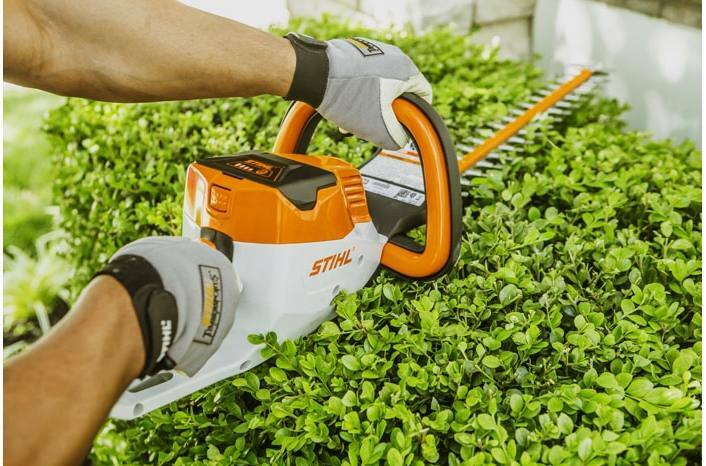 This battery-powered hedge trimmer combines great power and long run times. 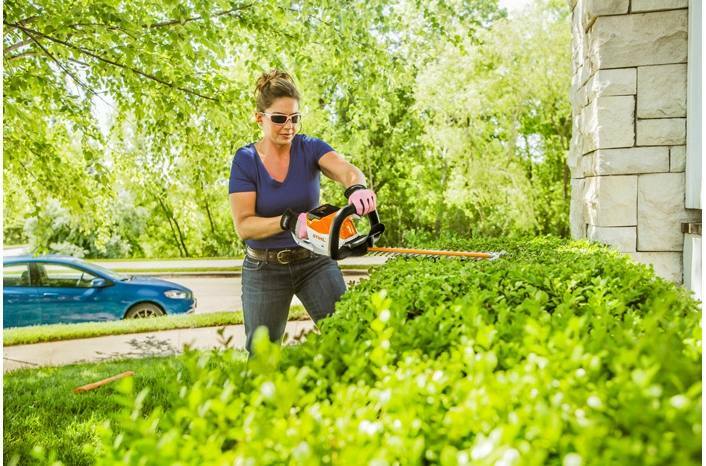 The HSA 56 hedge trimmer delivers exceptional performance and value. It is portable and lightweight at only 8.1 lbs. (including AK 10 battery), while also packing a performance punch. 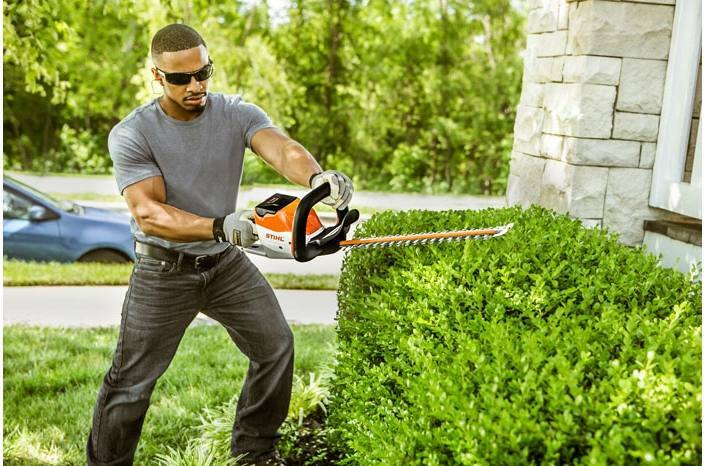 It features a high cutting speed of 2,800 strokes per minute, slicing through overgrown hedges with minimal vibration. Trim the length of three football fields on a single charge - that's up to 1,000 feet. And when you're done, just hang it on the wall from its onboard hanging slot. 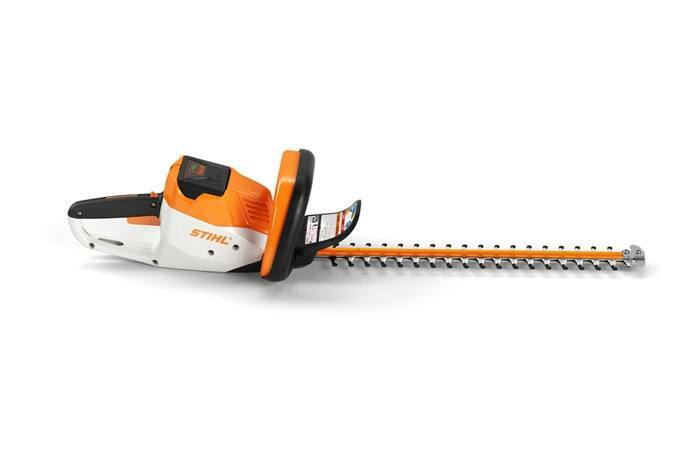 It's a great STIHL AK Series hedge trimmer for suburban yard care. Usage claim tested and verified by an independent third-party test laboratory. Run time may vary based on battery type, charge level and capacity, model, operating style and conditions. Batteries and chargers can be purchased separately or as a combined set with tool. Rubberized Soft Touch Handle: Soft rubber texture is both easy to grip and makes the product comfortable to hold for extended periods. Vertical Hanging Slot: The built-in hanging slot allows for easy storage when not in use. Ergonomic Loop Handle: The ergonomic loop handle is ideal for making cuts in any direction. Tip Protector: The tip protector makes cutting near the ground or along walls easier while protecting the trimmer's cutters from damage. Blade Scabbard: The blade cover helps protect the cutting blade during storage and transport. Functional Design: The housing has smooth surfaces and round contours that help to keep it from getting caught on branches during use. The design also makes cleaning easy. Batteries and chargers can be purchased separately or as a combined set with tool.